Exports reached 41,600 tonnes worth USD 155.6 million, 32 per cent higher in volume and 10.9 per cent in value compared with figures from 2008. Among proposals on dealing with challenges and accelerating Pangasius exports in 2010 submitted to MARD by VASEP, local authorizes are advised to take account of factors which stating that processing plant must have its own raw material production regions and stable markets when consider granting license on building or expanding Pangasius processing plants. 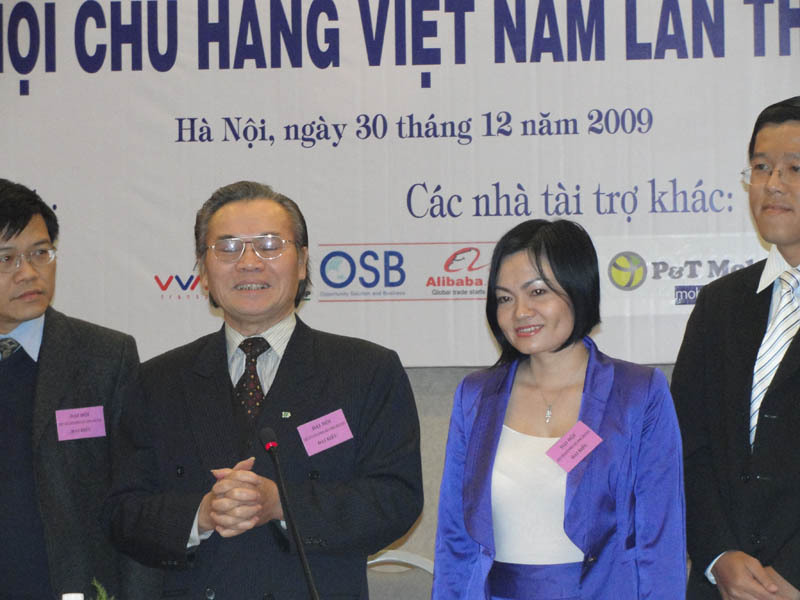 On December 30, 2009 , Vietnam Shipper Council (VNSC) organized the first congress and announced launch in Hanoi, gathers more than 200 members throughout the country. VNSC found that professional social organization, representing business owners in Vietnam, as a counterpoise to the foreign ship owners associations, related to protecting the rights and legitimate interests of owners Vietnam in particular and as a basis to solve problems related to import and export activities in general. The mission of the VNSC is to protect the common interests of the export-import trade and the use of freight and goods owners, to ensure employers are not damage by carriers through the same together in associations or in the transportation agreement unilaterally increase prices to charge in and impose surcharges. Association will petition the state agencies and competent authorities to resolve issues that may affect the competitiveness of exports, in particular, are issues related to the circulation of goods . SafeSeafood not only take part in VNSC, but also become a member of the Executive Board with the representative Ms. Nguyen Thi Thanh Thuy, Chairman, Director of Safe Seafood & Construction Company. The Ministry of Agriculture and Rural Development (MARD) is preparing a pilot project on “Fishing, purchasing, processing and exporting globe fish compliant with food safety standards” to submit to the Government for approval.